I recently picked this up in Boots when I noticed it was very similar to the Clinque Chubby Sticks. Unfortunately I haven't had the chance to try the Chubby Sticks yet so I can not offer a comparison. 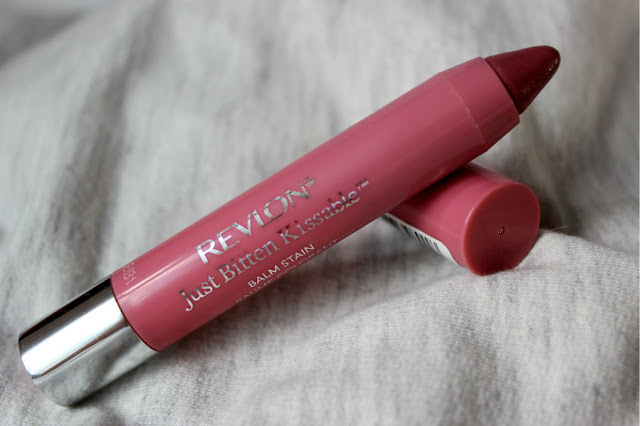 Although I have to admit I am really enjoying the Revlon version. It gives a beautiful natural tint to the lips and keeps them moisturised throughout the day. I sometimes find lip stains tend to be very drying. The only thing you have to ensure before applying this is that your lips are exfoliated as it can accentuate the dry patches. This particular colour is lovely and natural and has fantastic staying power even after eating and drinking. They are super easy to apply as they have a pointed tip and you simply draw it on your lips and when you run out of product you can twist the silver end up and more product appears. They also leave a lovely glossy finish and have a nice minty taste which kind of tingles your lips. Or is this just me because I have not heard anyone else mention it. I am definitely going to look at some of the other colours in the range and maybe pick up one of the more vibrant colours to take me out of my natural lip comfort zone. Have you tried any of these lip stains? What did you think and is there any colours you would recommend for me to try? Ooooh that looks divine! I will definitely have to try! 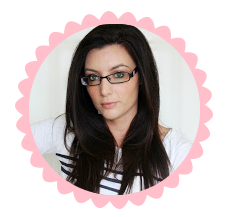 Stopping from the blog hop and I'm a new follower!! I have Honey and Darling and absolutely love them. I want to get some more shades as their staying power is so impressive. I love that color! So natural! hi! this is a great post! i loved it! OMG - I totally need to try this! Thanks for sharing! What a lovely shade! I have 'Rendezvous' and 'Lovesick' and just love lovesick! I wear it so often! Tip: Scheduled Posts Not Working?